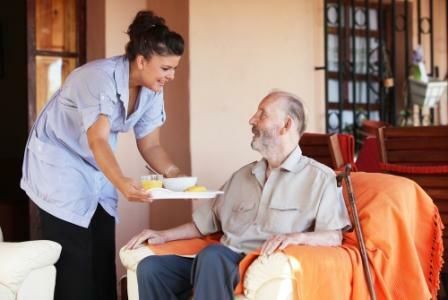 All care home managers and owners ought to know how their business is performing against its competitors. We realise that each home is different but an analysis of margins, costs etc. against the competition can help highlight areas of concern and, of course, highlight where your business is performing well. The financial performance of any business is a key focus for any owner and manager. The financial results will almost certainly impact on fundamental operational decisions, CQC recognise this and legislation is in place that requires operators to consider the financial viability and position of their homes to ensure that care standards are not impacted due to financial constraints. Average weekly fees continue to be a challenge for many operators, with price freezes in both nursing and personal care by many local authorities. Many of our clients have benefitted from increases in specialist care income streams, but this is highly dependent on the needs of residents and the demand on providers in the local area. 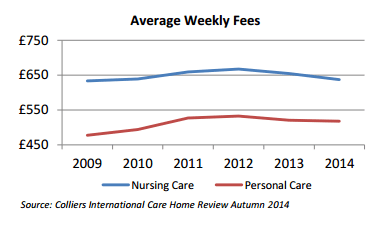 Payroll costs for nursing care continue remain largely unchanged, with a marginal decrease to 56% from 56.3%. Going forward we expect the increase in the National Minimum Wage (effective from 1 October 2014) to impact on a high number of operators, together with additional pension costs following the implementation of AutoEnrolment. Non-payroll costs have risen in all care variants, with continued increases in utility and food costs being key factors in the reported rises. Profit margins (EBITDAR) continue to be a challenge for operators as a result of funding pressures and rising costs. Nursing care margins remain consistent at 28.7%, however personal and specialist care have fallen to 31.1% (31.7%) and 31.5% (32.7%) respectively. Non-financial benchmarking is equally important to any care home; whether it be occupancy levels, local reputation or the findings of a CQC inspection, all will have a significant impact on your business. Occupancy rates continue to rise, with both nursing and personal care achieving over 90% occupancy for the first time since 2011. Specialist care continues to lead the way, achieving 91.1% occupancy in the first half of 2014.